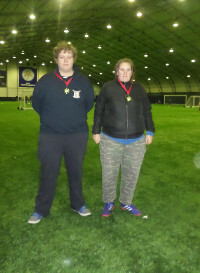 Leicester City Woodgate Partially Sighted team are continuing to work to recruit players to form a local Partially Sighted Futsal Team which will eventually play in the British Blind Sport Partially Sighted League. 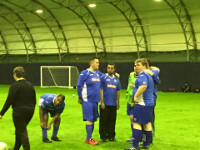 Manjit Takhar, Team Coach is working with local groups and organisations to identify new players to become involved, so if you are Partially Sighted, 16 years and over, we invite you to attend our monthly Futsal sessions on a Friday at the Peepul Centre, Orchardson Avenue, Leicester, LE4 6DP. 12th February, 11th March, 8th April, 6th May. Please contact Manjit Takhar for full details: Email or Telephone Mobile: 07772213946. 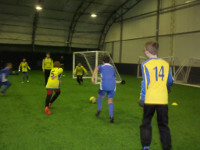 There is a small charge for both football sessions. If players are under 16 years of age please contact Manjit too for details of football opportunities available in your area. 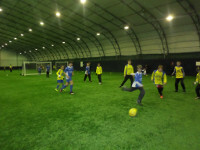 Leicester City Woodgate Inclusive Junior & Youth teams competed again at the LCFC Indoor Dome in the January Fixture programme. 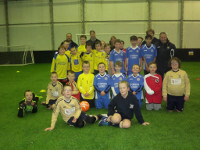 LCW Junior & Youth Teams played against, Aylestone Park, Birstall Utd, Oadby & Wigston & AFC Barwell Inclusive Squads. The young guns played brilliantly in all of their games and we saw some cracking team play all round. The Goalkeepers from all of the teams put in great performances too. 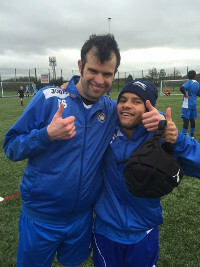 Teams are looking forward to the Trophy Parlour Inclusive League Cup next month and hosting teams from Northamptonshire & Bradford Disability FC. Leicester City Ladies Development side moved up to fourth in the Leicestershire Senior League thanks to a 3-1 away victory over Cosby United. Development fielded a much changed line up from the previous weeks match against the same opposition to give more players some extra game time. Lucy O’Byrne opened the scoring for Leicester City Ladies with a low shot, Cosby United pulled a goal back to leave the sides level at the break. McKenzie Marta restored Leicester City Ladies lead turning in a cross from close range and Megan Footman completed the scoring heading home from close range. 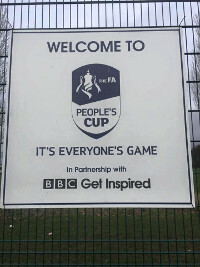 The Peoples Cup for Inclusive Teams was held at Aylestone Park Football Club on Sunday 24th January. 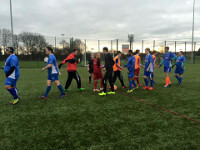 Leicester City Woodgate Adult Male Teams competed against teams from Rushden & Diamonds, Derby Diamonds, Asfordby Amateurs and Aylestone Park. 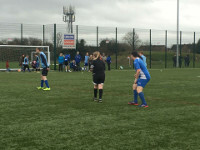 Leicester City Woodgate Diamonds drew a tough group on the day and finished in 3rd place in the group, players played very well, they were caught off guard in the first game versus Aylestone Park FC Blue, who fielded a very strong team and LCW lost the game by a few goals! But in the 2nd game, the team fought well and played some cracking football. Hitting the post 4 times, with some great efforts and the majority of possession, but lost 1-0. Leicester City Woodgate Fosse put in a great team performance to finish 2nd in their group and won through to a place in the semi-finals versus Aylestone Park FC Blue, who narrowly won by 1 goal and the Fosse were unlucky as they had a goal disallowed. The team played in the play off and finished 4th overall. Leicester City Woodgate Foxes, again played some great football in the competition and were unlucky not to secure a place in the semi’s. A great day of football, although a tough day for All of our teams. Many ‘Thanks’ go to Philippa Bass and County FA Staff for organising the event for the 2nd Year running. The Youth event was won by Oadby & Wigston Inclusive FC who won a hard fought game against Birstall Utd in the final. Aylestone Park FC Blue won the Adults Division after extra time. 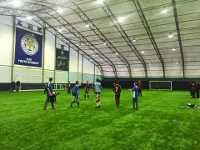 Leicester City Woodgate would like to wish both the teams ‘Good Luck’ in the Regional Event to be held at the end of February. 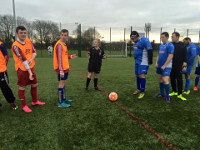 Next Fixtures for the Adults is Saturday 6th February when our teams will play in the Trophy Parlour Inclusive League Cup, an inaugural event for the Leicestershire & Rutland Inclusive Football League. The Ladies team will play at Ellesmere College on the 3rd February against Northampton Ladies DFC. After hours of hard work on Sunday morning by the Aylestone Park staff removing the thick layer of snow that covered the pitch Leicester City Ladies Development side enjoyed a 5-1 league victory over Cosby United. 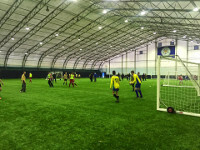 Carly Pegg opened the scoring for Leicester City Ladies after fourteen minutes when she perfectly chipped the ball over the head of the advancing keeper. The lead was doubled just before the half hour when Emily Boyes fired a low shot home from the edge of the box. Cosby United pulled a goal back ten minutes before half time through a fine solo goal. Leicester City Ladies restored their two goal lead early in the second half with a well struck goal from Kim Yates. Eighteen minutes into the second half Carly Pegg scored her second with a free kick wide on the right floated into the goal. 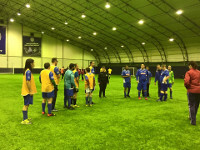 With ten minutes left in the game Kim Yates scored her second, after collecting an angled pass from player of the match fullback McKenzie Marta, beating the defence and coolly finishing. 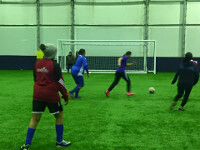 Leicester City Ladies extended their unbeaten league record to seven matches with a 3-1 victory over Steel City Wanderers. Goals from Carmelina Colangelo and Ola Janicka gave Leicester City Ladies a 2-0 half time lead, Ola Janicka added her second after the break before Steel City grabbed a late consolation goal.